A new school year is fast approaching, and with it, the opportunity to determine how you wish to spend the rest of your college career. Each year, roughly 750,000 of you will spend that time as part of a fraternity or sorority. That’s a lot of Solo cups and ping pong balls. But it’s also a lot of opportunity. There are real benefits to being part of a college fraternity or sorority, and not just because you’re pretty much guaranteed to master the Greek alphabet. There’s also all the social, professional and recreational stuff that you get to do. On the other hand, fraternities and sororities are not for everybody. If you’re not a fan of communal bathrooms, this might not be the college experience for you. T-shirts: — and someone is always designing a new shirt for some occasion. Membership Pins: — because sometimes you need real diamonds on a lapel pin you’ll wear roughly three times in your entire life. Tickets to the Big Formal: Think something like $200 per person — you were planning on bringing a date, right? These costs can add up quickly! You can usually calculate the cost of membership while researching the fraternity or sorority you wish to join. However, you may want to look at the cost breakdown. The main cause for the price differences between Greek organizations, especially those on the same campus, is the amount of dues that go toward the national organization insurance bill. Organizations that have banned alcohol from their events will often charge a lower annual bill to members. By contrast, organizations that have a history of alcohol- or hazing-related violations or fatalities will usually pay astronomical amounts for insurance. This is an expense that gets passed along to esteemed members. Just as with college itself, it’s important to be a smart consumer when shopping for a Greek order. Learn more about the history and culture of each organization before making a commitment. Networking is an integral part of the college experience and Greek life provides one of the strongest foundations for social interfacing with a network of peers. Greek organizations help build networks that often prove beneficial to students when looking for internships, employment, recommendations, or employees. Networking is an integral part of the college experience and Greek life provides one of the strongest foundations for social interfacing with a network of peers. The connections gained through your organization, both within your university and at the national level, can have serious long-term benefits. There are currently more than nine million alumni of fraternities and sororities working out there in the real world. Joining one of these organizations makes you the member of an exclusive club. This membership affords you an instant connection with any other members of that club. 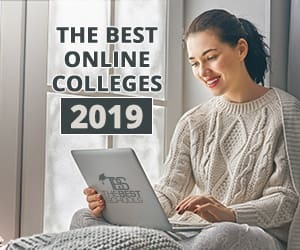 As you advance in your college education and your career, these connections can become increasingly valuable for landing interviews, listing references, or getting letters of recommendation. Imagine showing up for your first day on a new job in your nicest shirt, every hair in place, and your fingernails nicely manicured. Then, upon entering your new office, you are led to the basement of the building, where you are blindfolded, placed in front of a speaker blaring “YMCA” on repeat, and forced to recite the mission statement of your company until your tongue blisters? You’d leave, right? Now, what if this happened as part of your orientation to a new group of “friends”? Many new fraternity and sorority members, or “pledges,” submit to physical, emotional and psychological manipulation of this sort, regularly, in the name of joining Greek organizations. Hazing is technically forbidden, but the reality is that it still happens and is fairly widespread. At least one hazing death has occurred on a North American campus every year since 1959. As noted above, this is the leading cause of costly insurance. Again, this is why it’s so important to research the history and culture of any group that you plan to join. You should also bear in mind that not all new member hazing is brutal. Some of it may just be annoying or mildly demeaning. Most commonly, pledges are asked to do trivial, pointless tasks, many that may be publicly humiliating. Pledges are often required to prove their worth and learn their place in the pecking order of a fraternity or sorority. The real test is whether the activity is harmful to you or others. There are two questions to keep in mind: First, is this making me a better person/brother/sister? Second, would I allow someone I care about to do the same thing? Perhaps one of the better kept secrets about Greek life is all the good that fraternities and sororities do. Many work hard to instill a culture of service and philanthropy. Involvement in philanthropic activities varies from one organization to the next, and even from one chapter to the next. Still, most chapters do provide pathways to involvement in some sort of community service project or philanthropic endeavor. Many chapters even have leadership positions dedicated to this aspect of Greek life. Members in charge of service initiatives will delegate responsibilities, log the hours contributed by each member, and coordinate service events and fundraisers. Some chapters raise tens of thousands of dollars every year for their charity of choice while instilling a lasting appreciation for the value of philanthropy and community service among members. Every national organization has an award which recognizes the service contributions of its most outstanding chapter. Without exception, the chapters that win these awards are always aggressively involved in philanthropy and community service. Some chapters raise tens of thousands of dollars every year for their charity of choice while instilling a lasting appreciation for the value of philanthropy and community service among members. Alcohol and illegal drugs are a common hazard for Greek organizations. The vast majority of hazing-related deaths have resulted from forced binge drinking. But the risks of excessive alcohol consumption are not limited to new members, nor do they stop once pledging is over. Fraternities and sororities are social organizations and all social circles have cultures and sub-cultures. Far too often, Greek life harbors a culture of alcohol and drug abuse. This culture of abuse makes it easy for young, inexperienced drinkers to get into trouble in the name of acceptance. In some cases, recreational drinking habits in college can become real alcohol problems in adulthood. Fraternities and sororities with cultures of excessive drinking may risk opening this doorway. To learn more, check out Alcohol On Campus: Let’s Get Real. What do 85% of the executives of Fortune 500 companies and 80% of United States Presidents since 1900 have in common? According to Fraternity Advisor, they were all members of Greek organizations during college. Fraternity and sorority membership helps young men and women cultivate leadership skills, gain a sense of social identity, and learn to play well with others. Fraternity and sorority membership helps young men and women cultivate leadership skills, gain a sense of social identity, and learn to play well with others. Even the brightest 18-year-olds arrive on campus with much to learn. Joining a fraternity or sorority can help. Participation in the traditions, collaborative activities, and organizational structure of your Greek organization can create valuable opportunities to contribute, coordinate and lead, which are all valuable skills for eventual participation in the workforce. Fraternities and sororities not only offer the context to develop these skills but, just as importantly, can often verify your claim to those skills as you work toward future internships and job opportunities. Indeed, employers like seeing documented leadership experience. Greek life can provide that. You should expect to have exactly no free time during the pledging process. Nearly all hours outside of class are spent in meetings, completing tasks, or simply being present in the chapter house. These time commitments can have a huge impact on a student’s study and sleep schedule. In fact, for this reason, some schools even have restrictions around rushing during your first semester as a freshman. Still, many students choose to rush during their freshman year. You need excellent time management skills to balance this initiation process with the experience of adjusting to a new academic setting. And that time commitment does not end once pledging is over. Members are required to attend meetings throughout the year. In fact, some organizations impose fines on members who miss meetings. Additionally, there are conventions, parties and service dates at which attendance is expected regardless of what else a student may have to do. Being Greek can add the equivalent of an extra class or two to your schedule, depending on how demanding your chapter is. When it comes down to it, this is one of the strongest arguments in favor of joining a fraternity or sorority. If you join the right house, the opportunities for fun are nearly infinite. You are at once surrounded at all times by friends and engaged at all times in events, activities, parties (and of course, the inevitable cleanup that comes after). Ok, so the morning-after cleanup probably isn’t that much fun. But Greek houses are often the birthplace of some of the wildest, weirdest and wackiest traditions affiliated with college life, from mattress races and toga parties to intra-campus rivalries and activities involving kiddie-pools, lubricants and wrestling. Again, everybody has a different idea of what “fun” is, so if you’re thinking of joining a fraternity or sorority, make sure you share its concept of a good time. Otherwise, it could be a long few years. The value of your Greek experience is up to you. Do your due diligence before making a commitment somewhere. Research the available Greek organizations at your school, as well as other campus organizations. Look for organizations that really fit your interests, passions, and cultural identity. If you don’t like partying, don’t join the house with the campus record for noise violation tickets. If you’re looking for an inclusive experience, find a fraternity or sorority with a truly diverse membership. If you aren’t a Harry Potter fan, maybe avoid the house with the giant Quidditch field in its side-yard. It’s all about the kind of experience you wish to have. Either way, you do have one guarantee when you join a fraternity or sorority. You’ll get to know yourself a whole lot better, which in the end, is really why we go to college. If you’re planning to pledge this year, be smart, be safe, and think long and hard before you post things on social media.